Networking is one of the main reasons for people to come to the UICC Congress. However, it is not easy to just start talking to total strangers. Therefore, with the Break-Ice-Fast session, UICC is offering members and partners a hand in their networking to help sharing interests and to help Serendipity. - while at the same time keeping your conversations open and light-hearted. Join us for some useful fun! Plenary - What's next after the UN High Level Meeting on non communicable diseases (NCDs)? 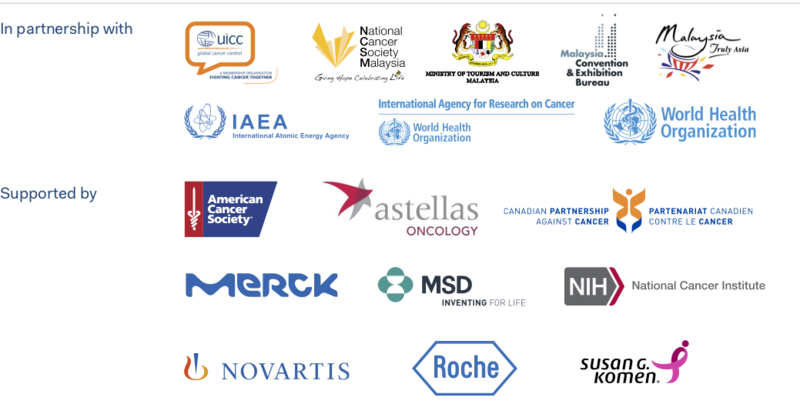 Before the World Cancer Congress in Kuala Lumpur, the cancer community waits in anticipation of the outcomes of the incredible opportunity the United Nations High-Level Meeting (UN HLM) on non communicable diseases (NCDs) offers in September 2018, which will allow us to demonstrate the importance of cancer as a health and development priority and illustrate the fantastic progress made thus far in terms of national cancer plans. We firmly believe that a focus on strengthening early detection, diagnosis and timely treatment of cancer and other NCDs will make a significant contribution to the 2025 and 2030 targets and improve outcomes of these deadly chronic diseases. Organised by Union for International Cancer Control (Switzerland). For CEOs of UICC Full member organisations only. The GA is open to UICC Full member organisations, Associate member organisations, Other observers by special invitation of the President, Member of the Board of Directors, The Chief Executive Officer. Only full members have the right to vote at the GA. One vote per organisation only. The Congress will provide the occasion for the first UICC Awards, a celebration of outstanding achievements and innovative practices by UICC member organisations. Bringing together over 1,000 members from 167 countries, the UICC community has a wealth of remarkable leaders, impactful initiatives, inspiring campaigns and collaborative efforts.UICC intend to shine a light on its members' success stories and inspire the cancer control community through the efforts of leaders, campaigners, advocates and fundraisers from across the membership. Focusing on areas of leadership and organisational excellence, the awards will seek to identify winners across five categories:The Advocay with Impact Award, the CEO Award, the Collaborative Initiative Award, the Fundraising Award, and the World Cancer Day Spirit Award. This networking reception is a unique opportunity for UICC members to get together and oversee UICC's activities. Part of the CEO Programme, UICC's flagship leadership initiative, the event will provide tailored opportunities for CEOs, or equivalent highest senior executives, to network and connect on issues of relevance to them. Investing in obesity prevention to reduce cancers - economic evaluation of the Victorian LiveLighter Sugary Drink public education mass media campaign. Attracting funding for cancer prevention using economic and fiscal tools. This session is part of the CEO Programme and is open exclusively to CEOs (including Managing Directors, Secretary Generals and Director Generals) of UICC Full member organisations, who have pre-registered. Full details of the session, including speakers, to follow.